On my trip to NYC, I wanted to hit an upscale restaurant and when I heard of Kajitsu, I thought it was perfect. 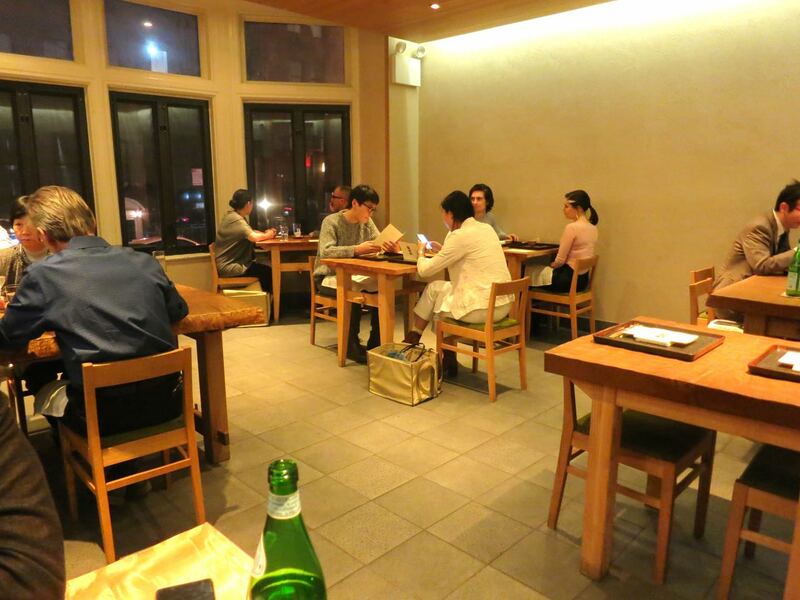 Katjitsu has been open in New York City for many years, but it was 2016 when it garnered one Michelin star in the acclaimed Michelin Guide for this year. It wasn't until that happened that the restaurant was on my radar. There are very few veg restaurants, if any, that have actually been awarded a Michelin star so this makes Kajitsu really shine. 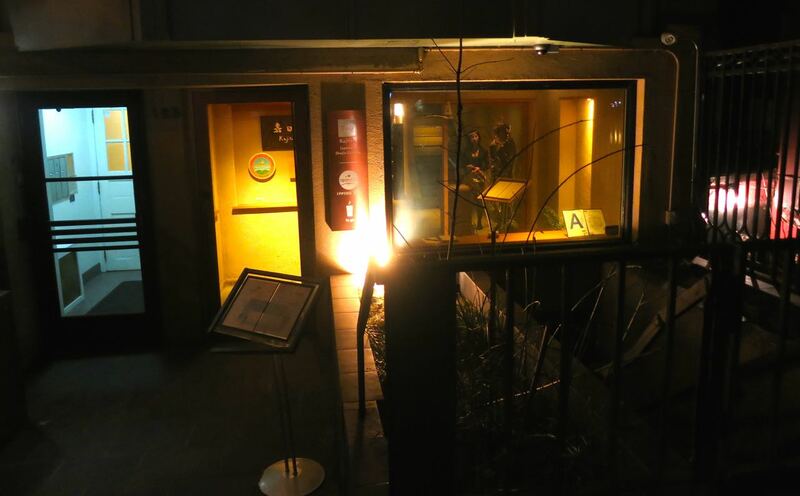 The unassuming outside facade consisted of a large window in a building with a sign that was difficult to read from the street. Luckily, our Uber driver located it just fine. Inside, there are actually two restaurants. Kokage serves fish and is located on the ground level whereas Kajitsu is vegan and is located on the second floor. They seated us in the very small dining room at the top of the stairs. What was frustrating to me is that the word vegan is not found anywhere on the menu or website. It made me a little uneasy, but I was assured that all items were vegan by the staff. I'm not appreciative of how some restaurants choose not to use this word for fear of scaring people away, but I do understand. The dining room was quite simple as was the theme of the night. For a Michelin-starred restaurant, I was a bit disappointed with the lack of color and I don't mean literally in the dining room. There was no artwork -- just a tile floor, cream walls, and light wood furniture. It looked like what you'd find in a cafe and not an upscale restaurant. This theme continued throughout the night. 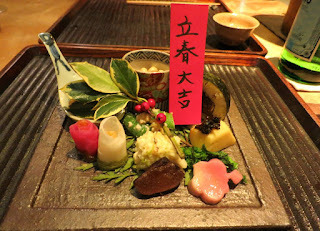 We went with the Chef's Omakase, which is the multi-course menu using ingredients available daily, and the sake pairing. The meal is based on Japanese shojin cuisine, which is a type of vegetarian cooking that originated in Zen Buddhism. It is regarded as the foundation of all Japanese cuisine and is still prepared in Buddhist temples throughout Japan. 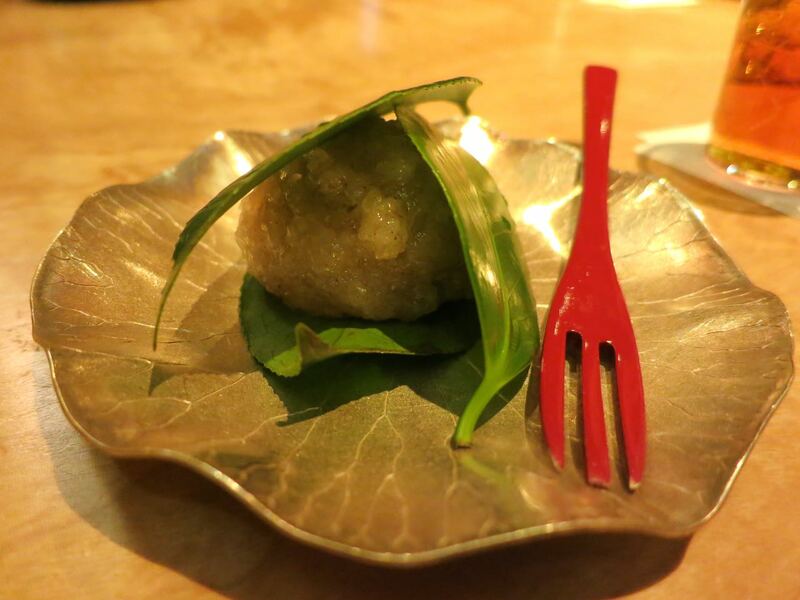 In traditional Japanese cuisine, the dishware is an integral part of the meal. The dishes used at Kajitsu include pieces created by master Japanese potters over 200 years ago as well as works by modern ceramic artists. 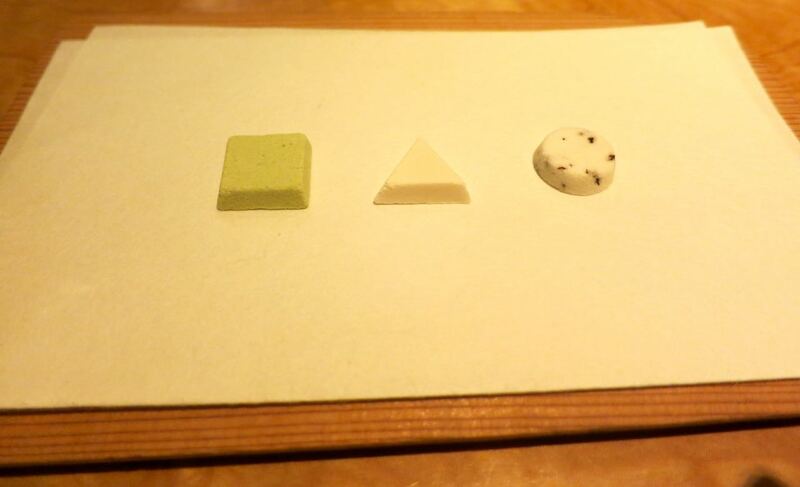 They began the meal by asking us to choose a cup from a selection. The meal began with Yin and Yang, black sesame tofu, lily bulb with soymilk and cacao nibs, asparagus, daikon radish, and leek powder. It looked beautiful, but tasted like nothing. This made me worry from the start of the meal, but I was hoping this was isolated to this one dish. 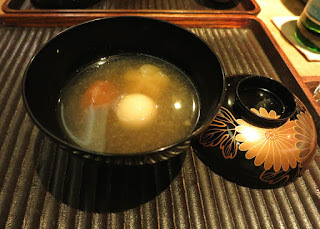 The second course was a soup made with kale broth and turnips. There was a mochi rice cake, plums, and lotus. I loved the broth, but the rest of it was meh. Again, very simple. The third course was a huge seasonal assortment of vegetables celebrating spring! 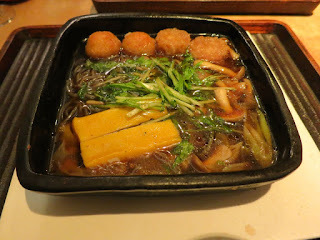 It consisted of kanpyo, mitsuba, shiso, cucumber, shiitake, myoga, nama-fu, carrot, soybean, arrowhead, dandelion miso, turnip, pickled plum, citrus jam, nameko, scallion, daikon, broccoli rabe, potato, shojin mayonnaise, cauliflower, olive, cabbage, and ume-fu. Yeah, all that. Again, very simple with light flavor. The items were fine, but nothing really stood out as fantastic. The fourth course was seasonal veggie tempura. there was chrysanthemum, king oyster mushrooms, broccoli rabe, string and fava beans. It was good, but tempura usually is. By this point, we were both very full and it was getting difficult to continue eating! 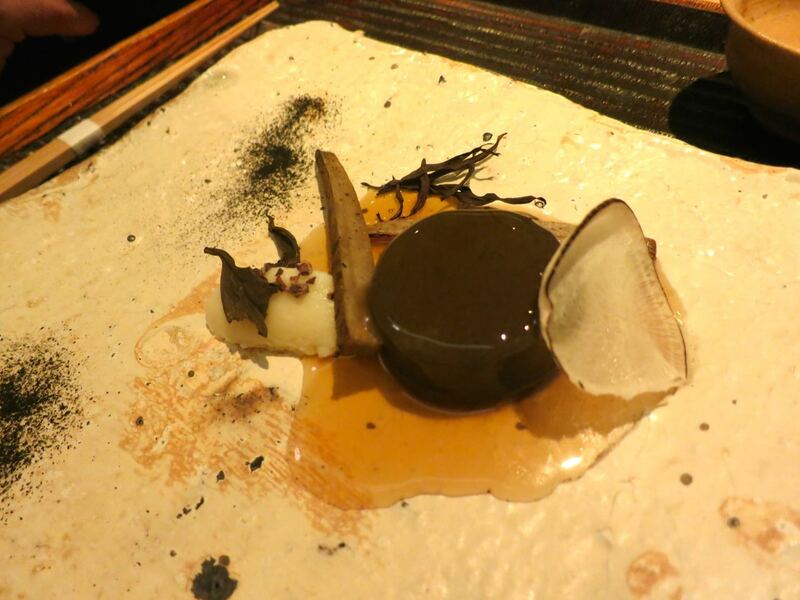 The fifth course was a very heavy mochi dish covered with black truffle shavings. Now this was good, really good! The sixth course was a meal in and of itself. It was winter vegetables sukiyaki, which was a broth with lotus root, konnyaku, taro, mizuna, scallion, and shimeji mushrooms. I thought this was very good. 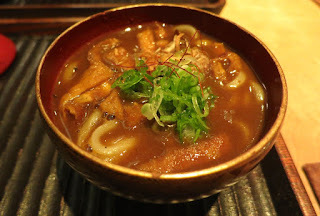 The seventh course was Curry Udon Noodles served with tofu along with yuba rice with shaved black truffles and pickled vegetables. Again, this could have been the only thing we ate all night. I tried a little and it was very good, but boxed up the rest. The eighth course was more of a palate cleanser. 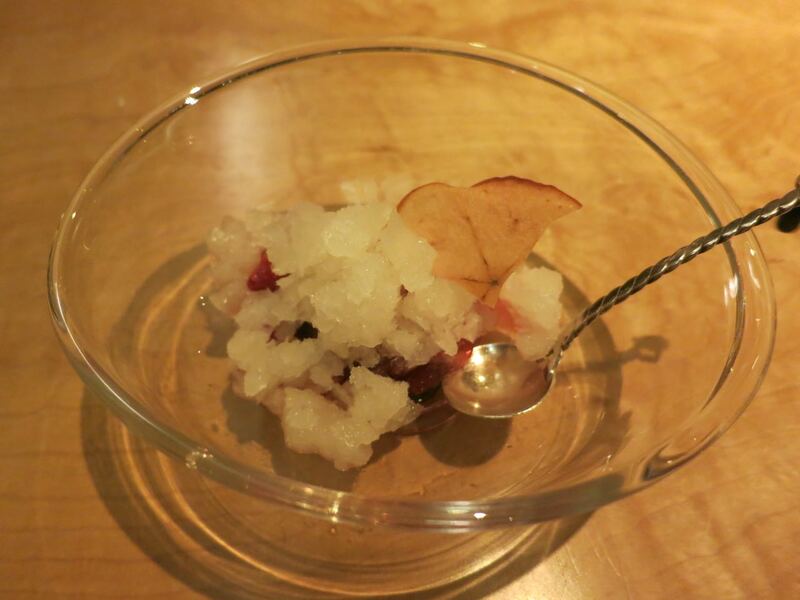 It was a nigori sake sorbet with dehydrated apple chips. It wasn't great. 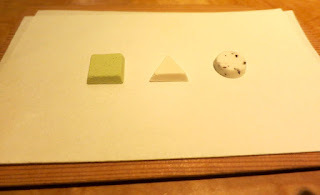 The ninth course was a mochi cake with sweet potato, azuki bean, and cinnamon. It was okay. 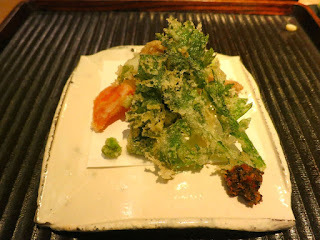 The Kijoshi sake from Hiroshima that was paired with this dish was amazing! 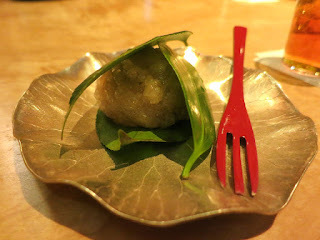 Lastly, they served some sugar candies that we took home because we were stuffed! The entire time, we were amazed at how quickly others ate these 10 courses because we could barely get through this much food! In the end, I have to say that we were very disappointed. Why? Because it is a Michelin-starred restaurant, albeit, one-star, but still, I only expect the best from Michelin-starred restaurants and this one served very plain food that clearly needed more flavor. The service was pretty good and attention to detail was great. 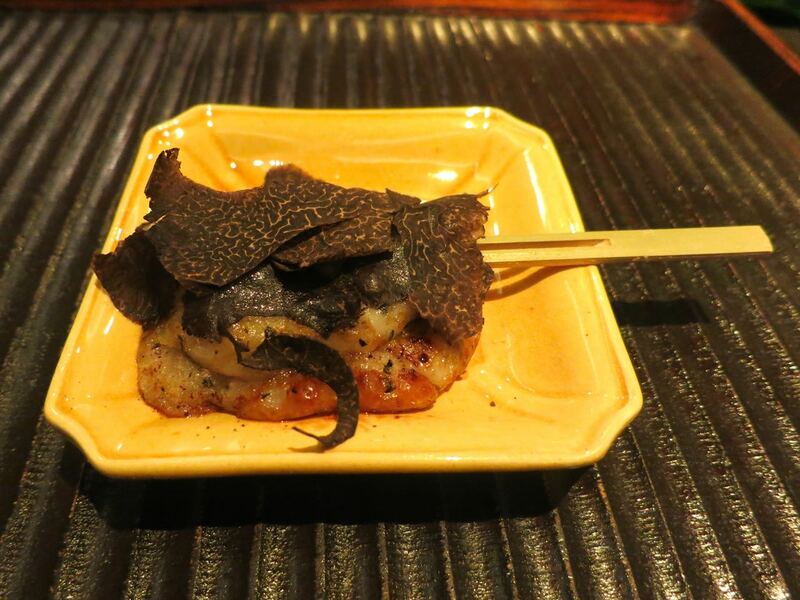 But, for $185 per person plus sake pairing, I expect so much more. Given the price and lack of taste more generally, I would not recommend Kajitsu. I understand that this may be indicative of the style of Japanese cuisine, but it was not flavorful enough for my palate or my wallet.